Smiling Arty on Jibbon Head sign. 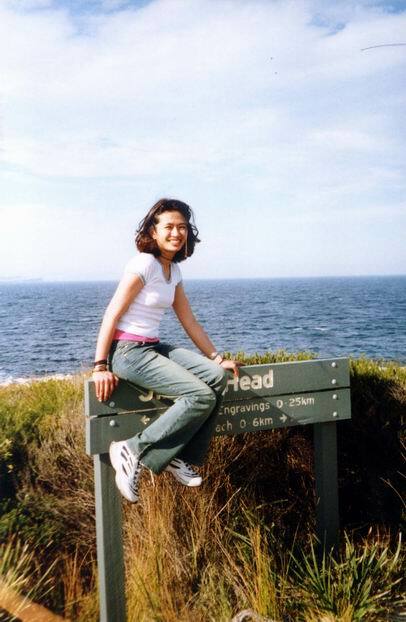 It took a bit longer time until we sit up on the sign, but photo is worth of effort, I guess.. One day trip to Royal NP in Sydney through Cronula, sometimes in the middle of sept. 2002. There is a place named Jibbon Head, which is amazing piece of mainland, the nordest one above the bay. Try to find ancient aboriginal engravings, once you get there..